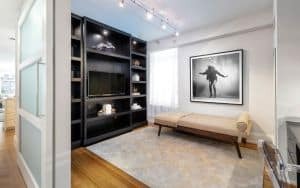 Lighting has such a large impact on a space, it might be surprising to find out it can easily be overlooked when designing a room. 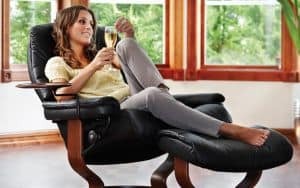 It has the ability to impact our mood, and of course, enhance the design of a room. From task lighting to creating general ambiance, lamps are inherently functional, but we’re here to say you don’t have to sacrifice form for function. I always strive to create layers of light within a room by using multiple light sources of varied types. I like to think about how the light will play in a room. The goal is a bright center, which is more typically achieved with overhead lighting, and pockets of light around the perimeter that highlight important elements. This is where lamps come into play. It’s clear from what we are seeing that designers are having a fun moment with creative lighting. 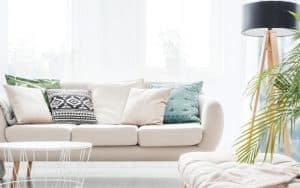 Everyone has their own rules when it comes to choosing lighting for their spaces. For me, this is an area where I just like to have fun. I have picked up some tips and advice that hopefully can help you in choosing the perfect lamps for you. I like to think about the following prompts to get me started, because as we all know, rules (unlike lamps) are made to be broken. Incorporate color and personality. Lamps don’t have to be taken so seriously. Add whimsy to a space with an animal-shaped base perfect for a child’s room. Or, add a pop of an eye-catching hue to add some brightness to a darker tabletop. Feeling adventurous? Switch up your classic white shade for one in black or another exciting color to stand out. You might be surprised by how many compliments start coming your way. Add a new traditional touch and shop for double! 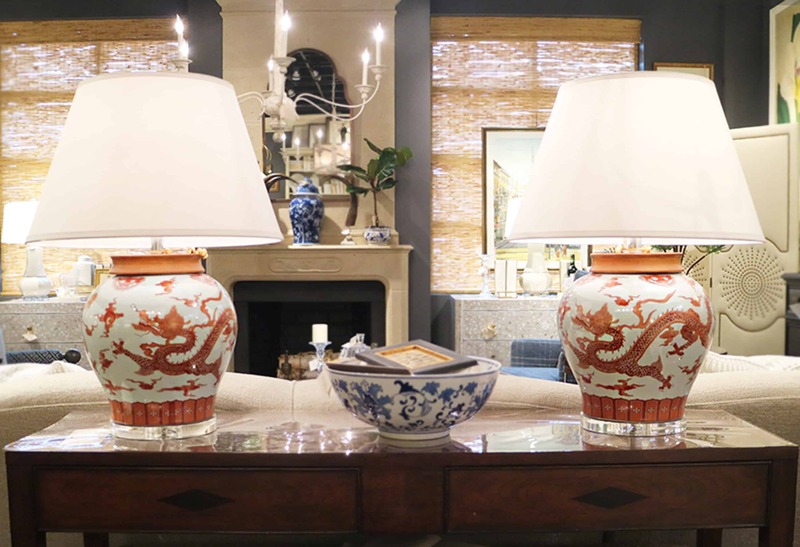 Symmetrical lamps flanking a table are a key design element in new traditional design. Using statement lamps can double the interest and the impact. This tip can be applied to any room or design aesthetic. Symmetry never goes out of style. Let your lamp lead the design charge. Use your lamp to tie in your accent color, incorporate pattern and texture to a room, or show your wild side. I like to suggest you pick a lamp that really makes an impact and draws your eye. To borrow from Marie Kondo, choose a lamp that really sparks joy every time you turn it on. Treat your lamp as art and invest in it. I treat lamps as investment pieces. 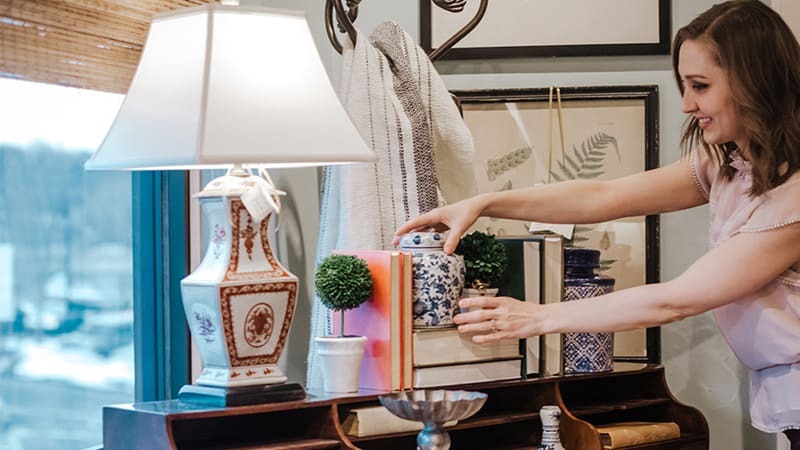 They are one of my favorite places to splurge in a room, because a good lamp truly makes such an impact on design. 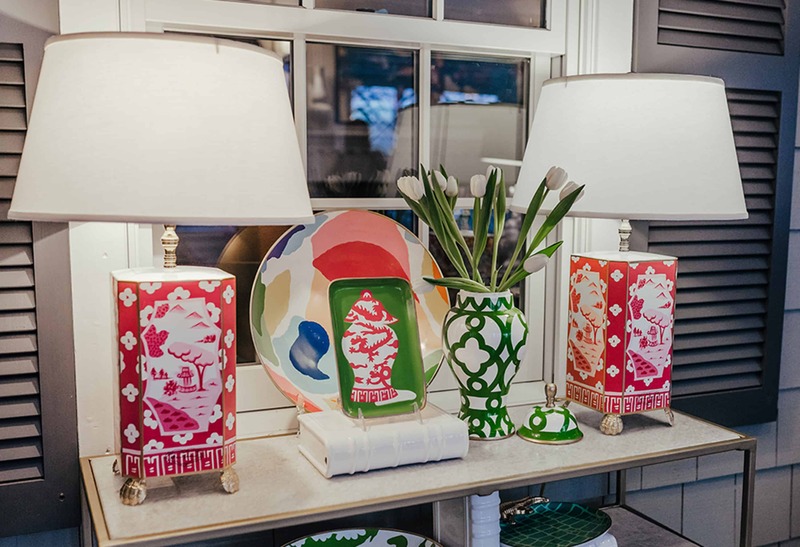 Some of my favorite lamps right now are lovely hand-painted pieces from designer Dana Gibson. The way she incorporates wild pops of color to traditional shapes and forms is brilliant. Don’t be afraid to mix and match. Using lighting to create balance doesn’t mean you have to create uniformity. Mixing and matching different lamps throughout a room is what gives your room character and highlights your style. Don’t be afraid to mix some of your older, tried and true pieces with a more modern piece. You are not cookie cutter, and your room shouldn’t be either.